I came across the organic and natural brand Greenfrog Botanic when I was scrolling a few of my feeds. Being the illustration nerd that I am, it was the pretty packaging that drew me in- I love the modern yet delicate simplicity of it and how the colours compliment the actual product. 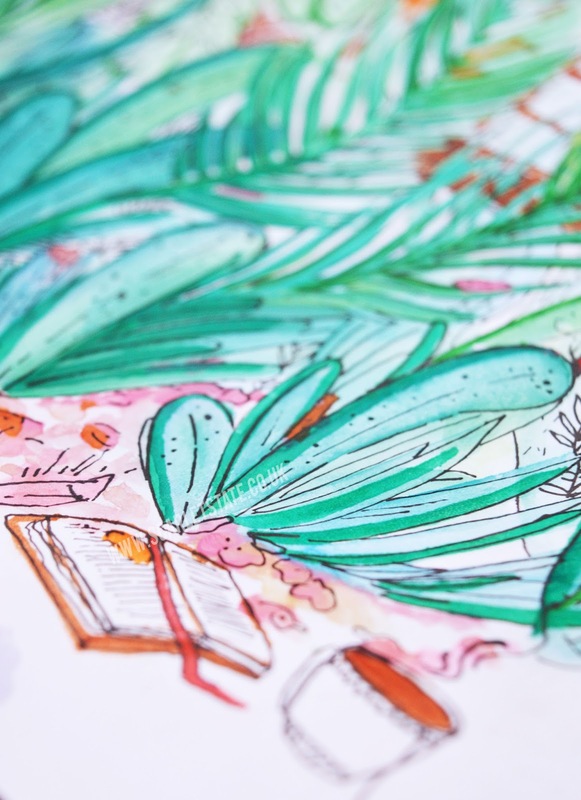 Greenfrog pride themselves on their ability to concoct natural and chemical free products with biodegradable plants and minerals, after the company's founders (Nick and Julie) met through working together on Human rights in Thailand. After moving to India they came across soapberries (or soapnuts), a sustainably grown berry that contains a natural low-sudsing detergent called saponin. 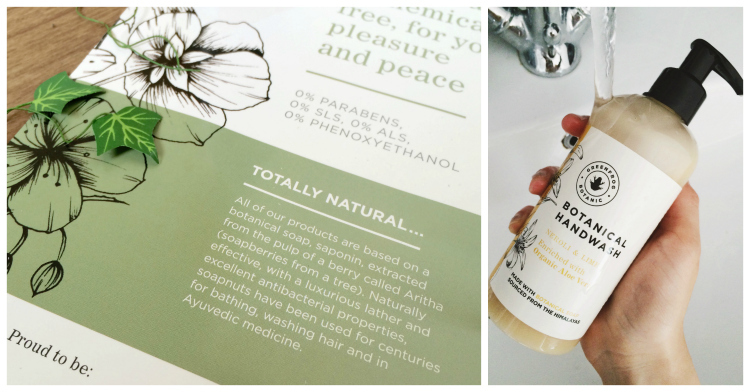 After much experimenting and great success they have produced a beautiful and organic range of hand body wash products for us to use! The different scents and ingredients used in the products bring a different effect to your skin. I chose Neroli & Lime hand wash* as I'm a big fan of any scrub, wash or rinse that rejuvenates me! I recently quit my bar job where I pulled cask ale pumps for months, constantly rinsing my hands with washing up liquid and getting them covered in acidic juice all the time. My hands are literally only just 'recovering'. Call me delicate but the callouses were reminiscent of the ones I used to get after hammering at nickel plated guitar strings for too long! This hand wash is so silky and lathers nicely. It doesn't lather excessively but that's expected of a product made from soapberries. I often feel unclean if my shampoo doesn't lather up but one of the reasons that it does is because of the sulphates and chemicals it contains. These actually dry your hair out over time, so I could be right in assuming they do the same to your skin! One of my favourite ingredients in this is the Aloe Vera. Crazy plant. Did you know you can drink that stuff? (Don't drink the soap though!). It's soft, anti-oxidising and mixed with the oil of Neroli it packs a moisturising, zesty punch. The ingredients in this product don't differ too much from the ones in the body wash so I'm still deciding on if it would be value for money or not to purchase that. Waking up your body with this in the morning would be completely refreshing and cleansing so I might have to look into it! The hand wash comes in a large 300ml bottle, with a nifty pump that you can open and close so you can clean with ease. For the price of £7.80, that's not too bad! 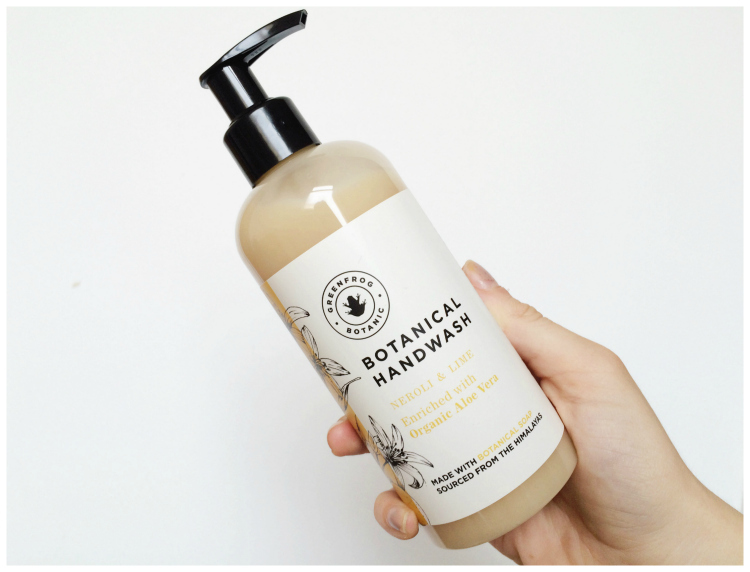 Comparing it to a quick product search on google: organic hand wash 300ml- it seems that the price difference is either drastically more expensive or a few pounds less. In my opinion, this is a very unique brand and I appreciate their efforts in keeping the products totally plant based and natural, as I'm sure you vegans and vegetarians out there will too! See also my other cruelty/animal/chemical free post on the Dragon's Egg bath bomb here. 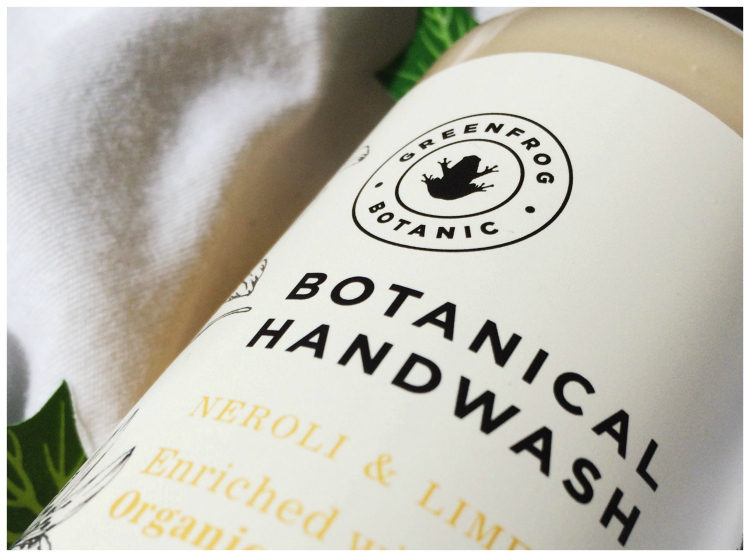 Green frog's Neroli & Lime hand wash* will make a nice addition to our bathroom and day to day life. I'm sure my mum will appreciate it the most after washing our fluffy muck ball of a dog. Check out the Greenfrog Botanic website here. Have you tried any of Greenfrog's products? What other scents would you like to see these in?